The federal prescription drug investigation swirling around the Chargers team doctor has entangled another prominent party – a San Marcos drug lab led by the former president of the San Diego County pharmacists association according to Brent Schrotenboer of the San Diego Union-Tribune. 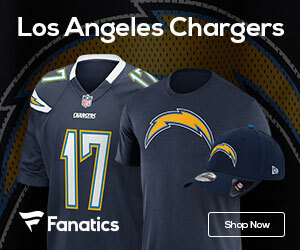 RSF Pharmaceuticals filled 50 prescriptions for Chargers doctor David Chao, even though Chao apparently wrote the prescriptions to himself, which is against the law, according to a Drug Enforcement Administration affidavit. DEA investigators found other problems with how RSF distributed and accounted for drugs, raising questions about oversight of controlled substances. The DEA took possession of RSF binders labeled with the names of “College #3” and several pro sports leagues, plus discs described as “Sport Pharm Database” and “Sport Pharm Reports.” “My training and experience lead me to suspect RSF Pharmaceuticals has violated these regulations because the filling pattern is suspicious and unlawful because the patient is also the physician who is issuing the prescriptions,” said the affidavit by DEA investigator Brenda Catano.